A lot of fountain pen users lament that many notebooks, even some expensive ones, allow enough bleedthrough and ghosting to render the backside of a page unusable. 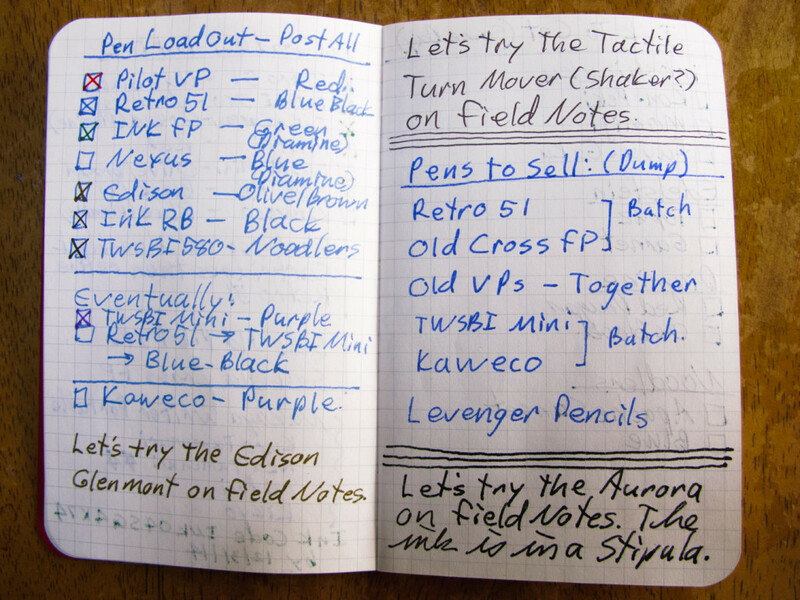 To them, an ordinary 48 page Field Notes notebook is actually a 24 page notebook. I’ve personally embraced bleedthrough. Dozens of years ago I toured Charles Dickens house in London and one of the displays featured a letter written in crosshatch. This was a way to save paper by writing in one direction on the page, then turning the page and writing across what you’d just written. 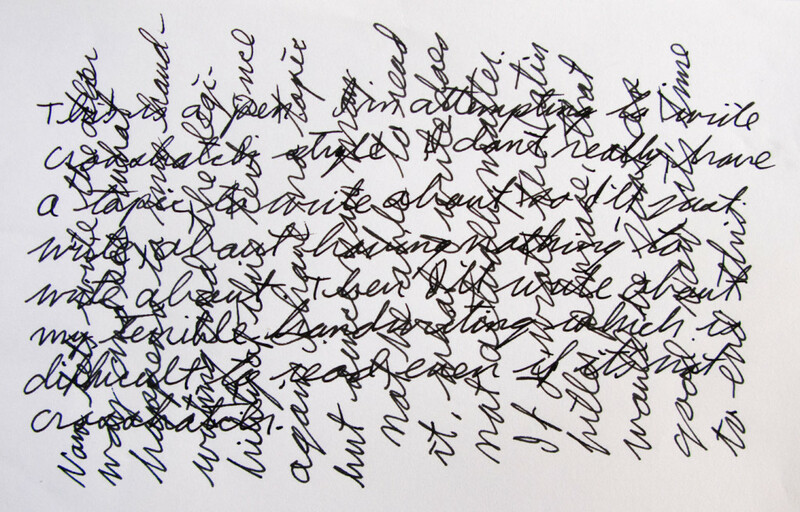 I was fascinated enough by this way of writing that I experimented with it by writing in my journal in crosshatch. At first it was strange, but I soon learned to read it. Reading crosshatch is interesting. After a few moments, the vertical lines fade into gray and you find yourself focusing on the horizontal lines. After you turn the page, there’s a moment of adjustment, but then you are able to see the new lines and keep reading. 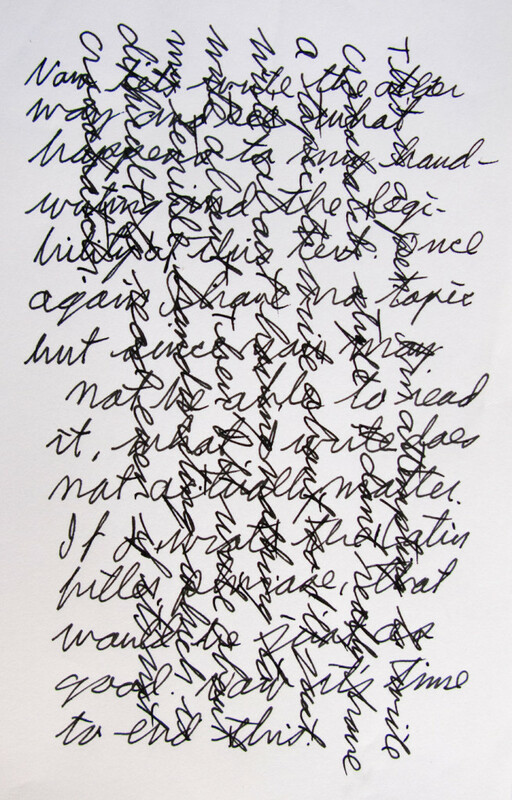 A modern example of cross hatch written quickly on copy paper. The same example turned sideways. Embracing bleedthrough and ghosting is like that. The spots become background to the writing. They are a different color, or at least a lighter one, even if you haven’t changed inks. Granted, too much bleedthrough is bad, but most of the time it’s not worth wasting an entire page. 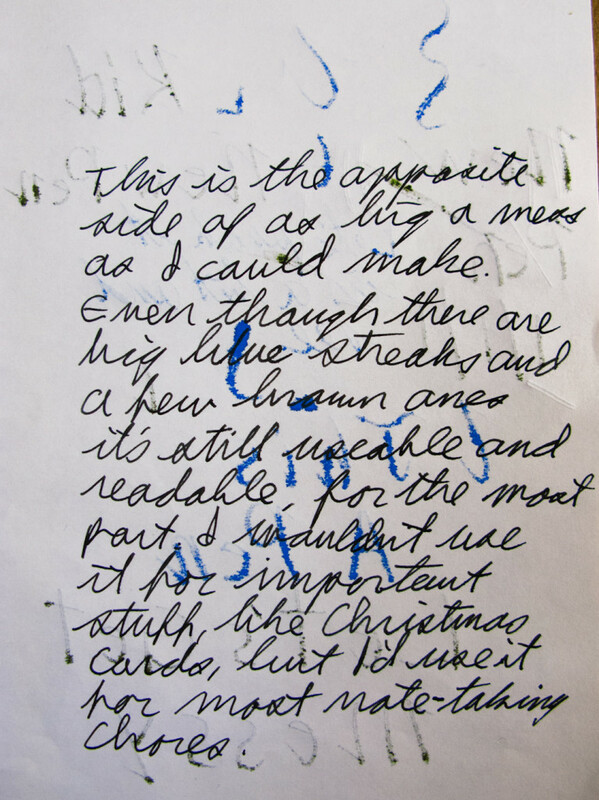 Handwriting on the back of particularly bad bleedthrough and ghosting. I don’t write crosshatch anymore. My handwriting is bad enough that I often have trouble reading it myself and don’t need to add extra complications. I don’t need to try to turn a 48 page notebook into a semi-legible 96 page notebook. However, other than that, I’ve fully embraced the bleedthrough and the ghosting. It adds character to a notebook and it means a 48 page notebook is always 48 pages. Fountain pen bleedthrough and ghosting on a Field Notes notebook.